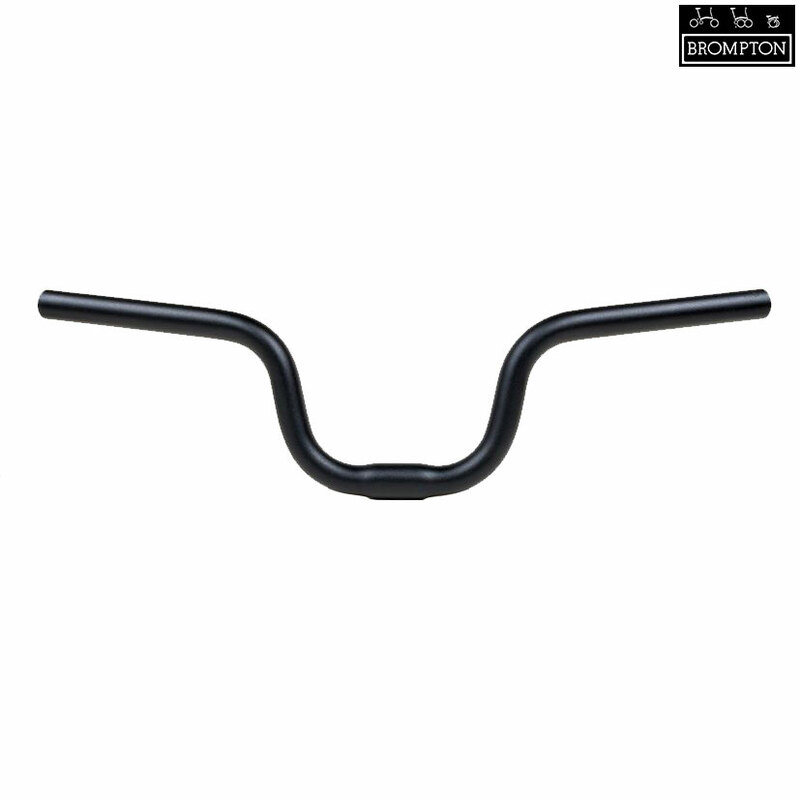 M / H type handlebar as introduced in 2017 with the longer stem. What is the rise on the 2017 Brompton M bars? I'm looking to lower the bar height on an older Brompton M, and the new bars 2017 bars look like they could do the job. The older bars have a 15cm rise, can you tell me the rise on the newer bars so I can work out how much height I'm going to loose? The rise is 100mm. Yes they have slightly more flare back and the ability to use a wider grip. 1. I have a p6r. If I put these on the existing stem how does it compare to m type bar? Will I have to changecabling? 2. The concept is that this bar is also more sweptback than the original m bar, correct? You will reduce the height about 60mm and increase the reach. You will need to change / shorten the cabling. This M Type bar is shorter, with slightly more flare.